A full array of American and Chinese dishes makes this a perfect spot for the player on the go. 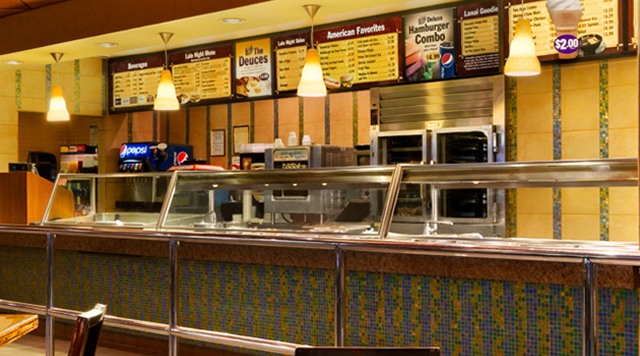 Choose from a variety of delicious menu items including Chinese cuisine, hot dogs, hamburgers, salads and our 99¢ shrimp cocktail. Table seating is available.